An epic High Arctic adventure into regions largely unknown. 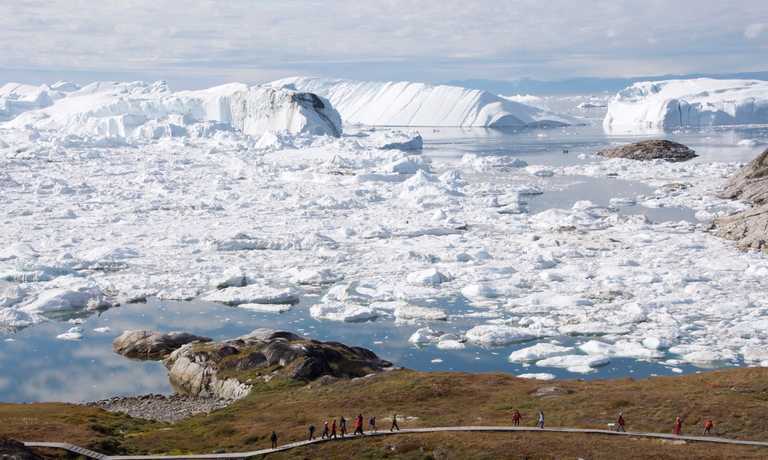 From the towering icebergs of Greenland’s Ilulissat Icefjord to the gates of Canada’s historic Northwest Passage, encountering The Arctic’s rich wildlife on a daily basis, this trip’s list of highlights will undoubtedly be both long and distinguished. Depart for an overnight flight to Keflavik. Transfer from Keflavik to Reykjavik, located just south of the Arctic Circle. Check-in to the Reykjavik Hilton Hotel (or similar). Take a guided overview of the old town, including Hallgrimskirkja Cathedral. Or choose to explore the Blue Lagoon and soak in the geothermal waters. Fly by chartered aircraft to Greenland. Embark the ship at the head of Kangerlussuaq Fjord, a picturesque waterway that stretches 100 miles. Dozens of deep fjords carve into Greenland's west coast, many with glaciers fed by the ice cap that covers 80% of the country. In the morning, trace this ragged coastline, and search for humpback and minke whales. Later, at Sisimiut, a former whaling port, you'll visit the museum and wander amid a jumble of wooden 18th-century buildings. European explorer William Baffin first ventured here in the 15th century to search for the Northwest Passage. Yet the area may have had human inhabitants as early as 4,000 years ago, with later Dorset and Thule occupations right up to recent historical times. With the expedition team's years of experience in the ice, you can explore some new and old places along the jagged coastline. Stretch your legs on good hiking trails at Qikiqtarjuaq, an Inuit name meaning 'Big Island'. It is home to your Inuit guide, Kisa, who will proudly show you his village. Next you head to Coronation Fiord where 5,000-foot cliffs are set near Coronation Glacier, and you'll stop at Niaqurnak Point, a former Inuit camp where glacial tongues extend to the water's edge. Walrus haul outs can be found here and it's a good place to spot polar bears and whales. The vessel will plan to stop at Buchan Gulf, another good hiking area with picturesque cliffs and a Thule site nearby, and Isabella Bay, an important marine habitat where deep troughs create ideal conditions for bowhead whales, up to 100 at a time have been recorded here. Carved by ice age glaciers, Lancaster Sound is the eastern gateway to the Arctic Archipelago. The sound has been a favourite Inuit hunting and fishing location for hundreds of years. Your days here will be spent searching for ringed seals, arctic foxes, walruses, and polar bears, as well as beluga and bowhead whales. You may even see the elusive narwhal, an arctic whale known for the long, spiraling tooth that projects up to ten feet from its upper jaw. 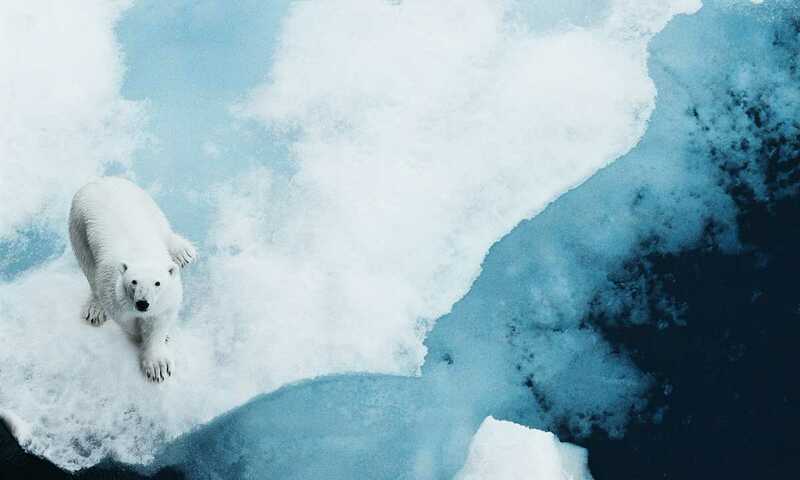 Exploration is planned at Prince Regent Inlet, a good place for polar bears on ice, and Beechey Island where the remains of the winter quarters of the Franklin Expedition are seen. National Geographic Explorer ploughs the waters at the entrance to the Northwest Passage, now heading towards the most easterly part of the south coast of Devon Island to Dundas Harbor, where the Canadian government established a RCMP (Royal Mounted Police) post in the 1920s. Later, we reach Croker Bay, where last year several very well preserved winter-house ruins from the Thule culture were discovered. From the 1200s and until late in the 1800s, Inuit were living in these regions hunting caribou and muskoxen, which you may spot along with polar bears. Continue to Philpots Island, a geological structure consisting of ancient red granite that is part of the Ellesmere-North Greenland geological complex. It has been dated to 1.6 billion years in age! The plan is to go ashore on rocky Philpots Island for a chance to hike on the tundra and search for interesting flora and fauna, including extensive moss beds with interspersed flowering vascular plants, various bird species, Arctic hares, and perhaps even musk oxen--an impressive beast covered with an incredibly thick coat of long hairs overlying a dense layer of underfur known as qiviut (very valuable wool used in producing the lightest, finest knitted products available today). Be on deck as you head out into the open waters offshore, where there are plenty of impressive icebergs calved from a huge glacier. Heading ever northward, the vessel makes its way up the beautiful and remote east coast of Ellesmere Island, where the Explorer first ventured last season. Cruise along scenic Smith Bay (a.k.a. Skog Inlet) bordered by a steep wall of mountains, with a glacial ice tongue which pours down the mountains on either side. Be up on the bridge for a search for a patch of 'polar bear ice', the mixture of first-year and multi-year sea ice that is the preferred habitat of the ice bears. At the end of the bay you'll go ashore to hike or kayak in picturesque surroundings. Ice is always present here. On your next day, you enter Buchanan Bay, and turn into Alexandra Fjord to reach the area of Skraeling Island. This is the site of an important archaeological find. Norse artifacts show that the Norse traded with the natives here on Ellesmere Island, far north of their settlements on Greenland. Last summer, quite unexpectedly, remains of a summer encampment of natives were discovered, thought to be of the Thule Culture (the third of the three Inuit cultures to occupy this area). You may see rings of stones that held down the edges of skin tents against the wind, and stone chambers that might have been constructed for storage. Perhaps the Inuit camped at this very site as they traded with the Norsemen, exchanging skins and walrus ivory for European goods, especially metal. On these two days you explore to 80 degrees north and hopefully beyond, if the ice allows. Take full advantage of the 'human resources', experienced captain, expedition leader and naturalists, as well as the technological resources. The expedition team chart where the ice is impenetrable and where there are leads guiding you to exciting discoveries. The remote and rarely explored coast of Northwest Greenland is the next destination, going places the Explorer has never been. The area north of Qaanaaq has the most interesting exploration history of Greenland, with many expeditions based here; timbers from Hall's ship, the Polaris, may still exist on the beaches. Cape York is also historically significant with a monument to Admiral Peary. 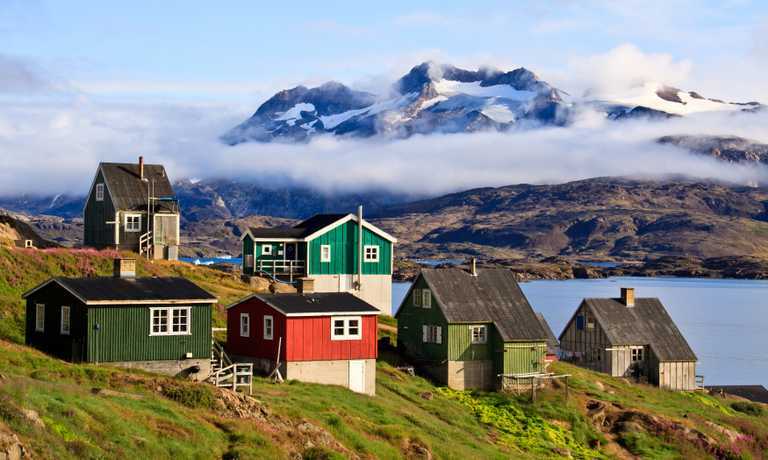 You'll visit the small community of Etah, the north-most habitation in West Greenland, where you can interact and learn about the people of the Far North. Explorer will be in true expedition mode every turn of the way. The former Prime Minister of Greenland, Kuupik Kleist, said this region was one of the most beautiful and unexplored parts of all of Greenland: glaciers, fjords, inlets and islands. Wildlife galore, unlike parts of the south where it is more actively hunted. 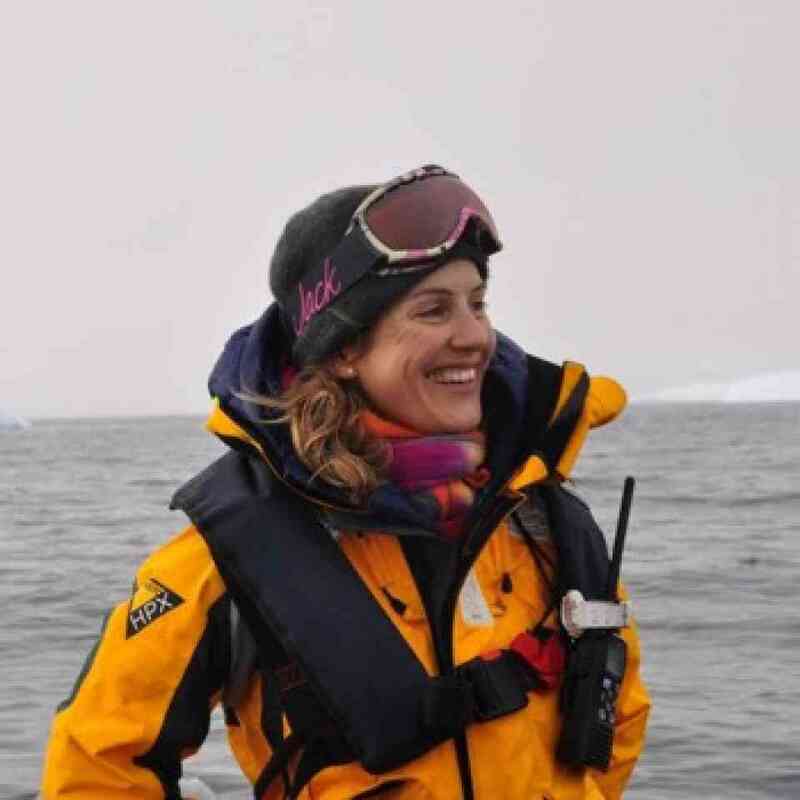 In addition, Dr. Henning Thing, one of the more experienced scientists working in Greenland, has offered some very specific places that you can explore which sound wonderful. You will definitely be exploring new frontiers. Today, back in familiar waters, stopping at Qilakitsoq, where a collection of mummies dating to 1475 was discovered in 1972 and featured on the cover of National Geographic magazine's February 1985 issue. The final day aboard will be spent in the beautifully scenic fjords. Take a Zodiac cruise, kayak, or hike across the tundra. The undersea specialist may launch theROVto see the marine life inhabiting the fjord floor. Disembark in Kangerlussuaq in the morning followed by a tour and lunch. Fly by private charter to Reykjavik, where you check in to either the Natura Hotel or the Hilton Nordica. The grand adventure takes you to Iceland's lively capital city, Reykjavik. Have a guided tour of Reykjanes Peninsula, followed by lunch. Transfer to Keflavik for your flight home. Or you may wish to extend your stay in Iceland for further adventures. This trip can run as a group trip, with prices starting from $25,190 per person for a complete group. If you are looking to join a group or you are a solo traveller we will help to form likeminded groups of travellers. Please let us know your travel plans.